The Large Diameter Drilled Shafts are the solution most commonly used for offshore foundation of ports, bridges, and piers, using lost or recovered metallic casing. Drilled shafts in soil and rock D=32". 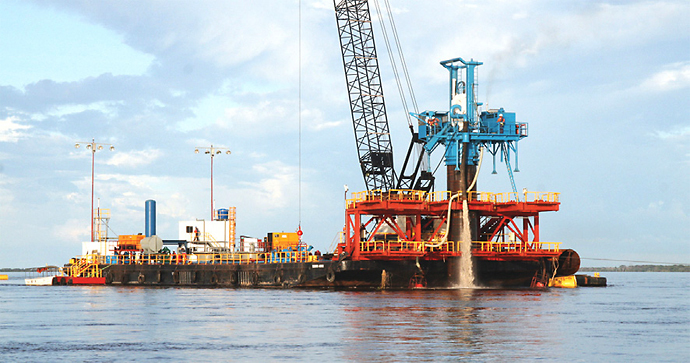 In offshore drilled shafts, the mechanical excavation and underwater concreting are preceded by the insertion of a steel casing, generally with the use of a hydraulic or vibratory hammer. 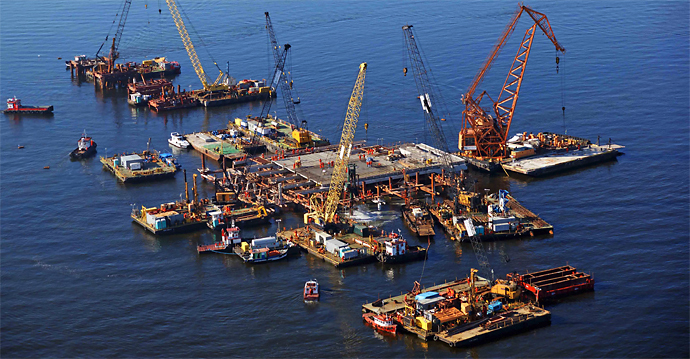 The drilling rig, when required, shall be setup on a fixed leg platform or a flat deck barge. With special equipments, the drilled shafts can reach depths of up to 330ft (100m). Hydraulic drilling rig with special bits for rock excavation and reverse circulation system.